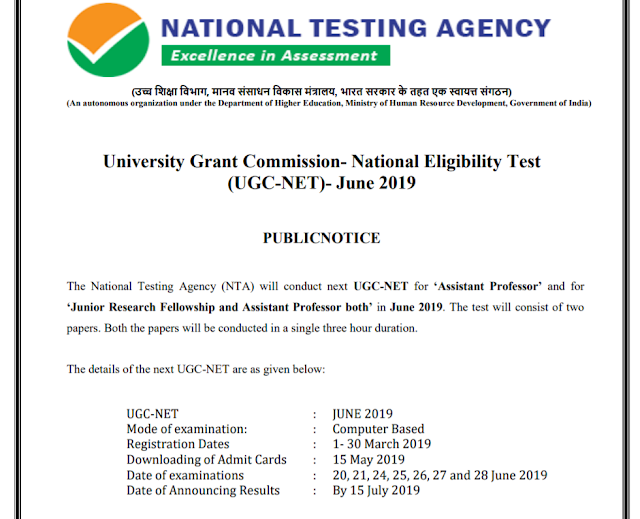 National testing agency Invites application for the CBSE UGC Net / JRF examination June 2019. The candidates interested and meet the eligibility criteria can apply. Educational Qualification: Passed / Appeared in Master Degree at least 55% Marks. Thanks for sharing the post. It would be very useful. The posts shared here are really worth to read. We can get updates about different examinations. This site is a good platform for people who are preparing for the examinations. Keep sharing more updates. Looking forward to it.